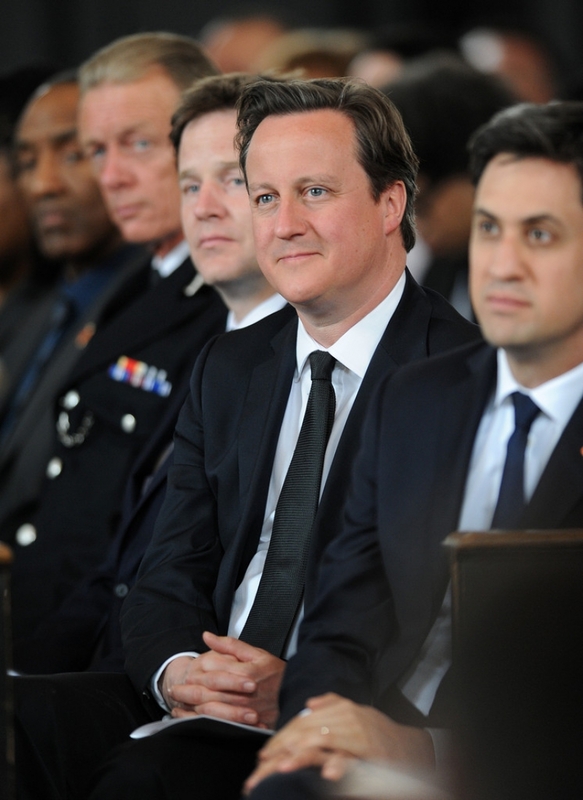 (L-R) Deputy Prime Minister Nick Clegg, Prime Minister David Cameron and Labour Party Leader Ed Miliband attend a memorial service for Stephen Lawrence at St Martin-in-the-Fields Church on April 22, 2013 in London, England. Stephen Lawrence, a black A-level student was stabbed to death at a bus stop twenty years ago by a gang of white youths in a racially motivated attack in Eltham, south-east London, on April 22, 1993. Two men, Gary Dobson and David Norris were found guilty of his murder in January 2012. - high-definition photo for free download.